Oakland County, Michigan Horse Directory - O Horse! Pony parties, petting farm, day camp on the farm, saddle up club, butterfly habitat, Australian Walkabout, live reindeer, and more! Let us bring the fun to you... or come and visit us. Great for birthdays and school & community events. Four Points Farm operates out of Hidden Dreams Farm in Milford, MI, and provides a full service equine facility. We specialize in the training and showing of Morgan, Saddlebred, and Hackney horses and ponies for local and World Championship competitions. Lessons are offered in equitation, saddle seat, hunt seat on the flat, western & driving. Private and group lessons. Summer horse camps. Over 25 years' teaching experience. USEF "r" Morgan, "r" Fresian, and Michigan 4-H Horse Show Judge. Hunter/jumper lesson, training, and boarding facility. Ages 5 thru adult. All levels. Year round programs. 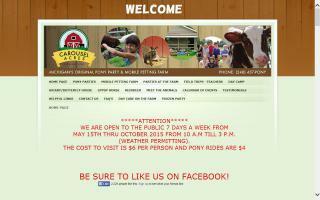 Summer day camp, birthday parties, showing (local circuits), horsemanship classes, clinics, and more! Check out our website for more info. 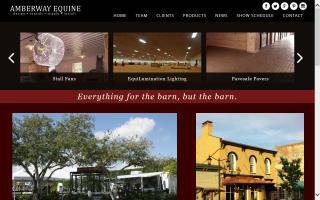 Looking to buy or sell horse property? 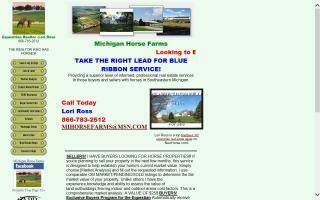 Take the right lead for blue ribbon service! Call Lori Ross at the phone numbers above.